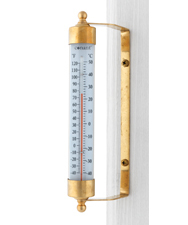 The portable Vermont Travel thermometer combines the beauty of solid brass with the durability of an optical quality and unbreakable polycarbonate tube. 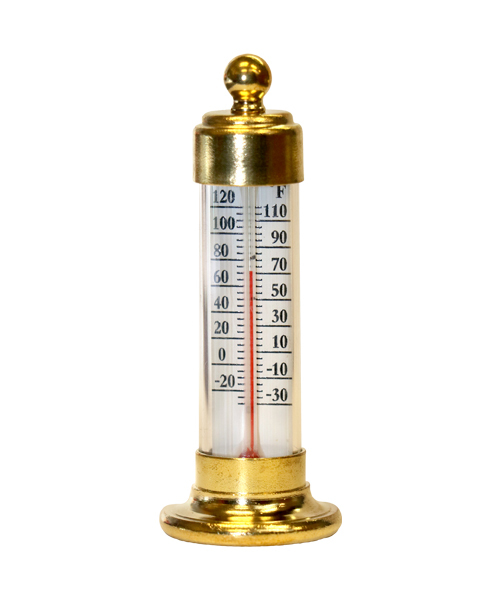 The lovely design of the travel thermometer is a beautiful addition to travel supplies and makes a wonderful gift to friends and family who enjoy traveling. 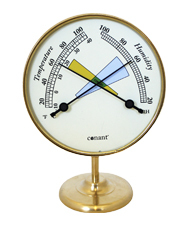 This portable thermometer uses accurate spirit tube technology and is entirely mecury-free. 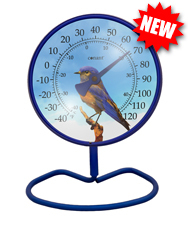 The portable thermometer is also waterproof and perfect for fishing trips or your office desk. WARNING: This product can expose you to chemicals including lead, which is known to the State of California to cause cancer or birth defects or other reproductive harm. Wash hands after handling. 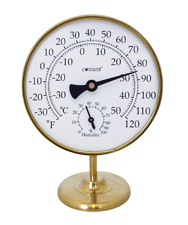 For more information, visit www.P65Warnings.ca.gov.